Cathy Burack is a Senior Fellow for Higher Education at the Center for Youth and Communities (CYC) in the Heller School for Social Policy and Management at Brandeis University. She is also a Brandeis University Ombuds. Prior to coming to Brandeis, Cathy was the Associate Director of the New England Resource Center for Higher Education (NERCHE). For the past twenty-five years Cathy has focused on ways faculty, students and administrators can work together to fulfill the civic missions of their colleges and universities. This focus has been on two interrelated areas: access to higher education, especially by students who are among the first in their families to attend; and the ways in which colleges and universities engage with their communities. Her work has taken several forms including facilitating Think Tanks for senior campus administrators, co-coordinating and facilitating national meetings focused on the civic mission of research universities, directing various funded projects that support student, faculty and community representatives working together on a community defined problem, and extensive work with faculty from a wide variety of institutions. Through her work at CYC Cathy works with colleges, universities, and community organizations to use evaluation to both “prove” and “improve” their programs. Her research and capacity-building efforts attend to both outcomes and systemic change. To that end Cathy has conducted evaluations of campus-based change initiatives including conducting a national evaluation of institutional support for civic engagement, developing measures of student success, helping to set up the Corporation for National and Community Service Learn and Serve America LASSIE data collection system, and conducting multi-site evaluations on campus-wide change initiatives. 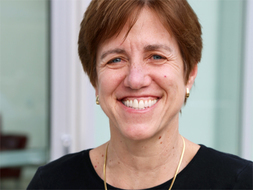 Cathy is currently co-Principal Investigator of the evaluation of the Campus Compact Connect to Complete (C2C) initiative, a pilot peer-support program at nine community colleges, funded by the Bill and Melinda Gates Foundation, and the GreenLight Fund’s Social Innovation Fund initiative evaluation. Past evaluations have included the Jack Kent Cooke Foundation's Community College Transfer Initiative, an initiative designed to enable low- and moderate-income, academically able, community college students to transfer to selective colleges and universities, and of the Nellie Mae Education Foundation’s Project Compass, a program focused on the retention of underserved students. Cathy is a member of the National Review Board for the Scholarship of Engagement, a Campus Compact Engaged Scholar, and a member of the Advisory Board for the UMass Amherst Masters track in Service-Learning and Engagement. She started and facilitated the NERCHE Multicultural Affairs Directors Think Tank for directors at colleges and universities throughout New England, and directed "Reversing the Telescope: Community Development from Within" which focused on the civic microcosm within the university community. She also has been a member of the Steering Committee of the Boston City Wide Dialogues on Race project. Cathy holds a Bachelors degree in Psychology from the University of Rochester, and a Doctorate in Administration, Planning and Social Policy from Harvard University. Cathy's work is under-girded by her core beliefs in the power of reflective practice, collaboration, importance of creating learning organizations, capacity building, and development of communities and the individuals who inhabit them. Melchior, Alan, Burack, Cathy, Hoover, M., Marcus, J. FIRST Longitudinal Student: Participant Characteristics, Program Experience and Impacts at Follow-up. Year 3 Report. Waltham, MA Center for Youth and Communities, Brandeis University: 2016. Berger, S., Burack, C., Lanspery, S., Duffy, D.. Meaningful Connections: Service-Learning, Peer Advocacy and Student Success.. Boston, MA: Campus Compact, 2015. Cress, C., Burack, C., Giles Jr., D. et al. "A Promising Connection: Increasing College Access and Success through Civic Engagement." Campus Compact (2010): <http://www.compact.org/resources-for-presidents/>. Fitzgerald, H. E., Burack, C., & Seifer, S. (Eds), ed. Handbook of engaged scholarship: Contemporary Landscapes, Future Directions.. First ed. East Lansing, MI: Michigan State University Press, 2010. Burack, Cathy/ Hollander, Elizabeth. How Young People Develop Long-Lasting Habits of Civic Engagement: A Conversation on Building a Research Agenda. Proc. of How Young People Develop Long-Lasting Habits of Civic Engagement: A Conversation on Building a Research Agenda. Spencer Foundation, Chicago, IL: http://www.servicelearning.org/library/lib_cat/index.php?library_id=8660, 2009.